Purist Audio Design's extensive research and testing gets down to the heart and soul of a product. They look at not only capacitance, inductance, and resistance, but also magnetic fields. That is why they use alloys for their conductors, rather than simple copper or silver alone for the ultimate in sonic quality and performance. Purist Audio Design's Luminist Revision represents a redesigned and greatly improved product. The RCA connectors use beryllium copper and increased thickness of the gold plating. They also greatly improved the XLR connectors by using beryllium copper with gold plating on the pins and Purist's newly designed interchangeable spade/banana for the speaker cables. The 25th Anniversary line of Interconnects are available in Single-Ended (RCA) and Balanced (XLR) configurations. The design goal is purely High Performance. This 24 AWG Silver solid core single crystal cable is Triple Cryomag treated. The 25th Anniversary Speaker Cable "Luminist Revision"
The audiophile aims for the highest quality and best sound possible. The 25th Anniversary line of speaker cables are Purist Audio Designs' answer to that quest. Available in standard, bi-wire or verticle bi-wire configurations, it's a four cable set with custom 8mm spades. This stranded, multi-gauge Silver, single crystal copper single crystal copper cable is 11 AWG per conductor pair and is Triple Cryomag treated. 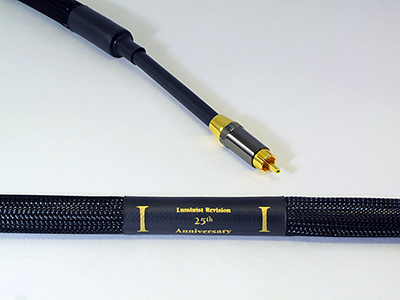 The 25th Anniversary Power Cord "Luminist Revision"
The 25th Anniversary AC Power Cable uses power conditioning circuit technology that provides EMI/RFI noise control, filtering, and reduction. It integrates the use of a multistage power conditioning circuitry that passively controls, filters and reduces the effects of EMI/RFI from coupling via direct conduction, induction and capacitive to a level that allows the dynamics of music breathe and prevail. The 25th PC utilizes 8 AWG204/60 stranded silver conductors. This low noise andUltra High Performing cable is five times Cryomag treated. 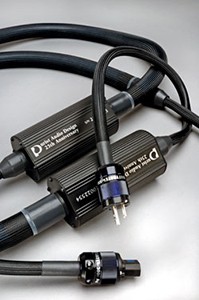 The Purist Audio Design Ultimate USB Audio Cable is a high resolution, high speed cable that will pass a high quality DAC signal over longer lengths than expected with a wide assortment of computer interfaces. Their USB Cable utilizes precision construction techniques and superior noise rejection result in a richer, more natural sound compared with computer USB cables. The cable also incorperates low noise dielectrics and double shielding providing superior noise performance for better resolution of musical details and a wider dynamic range.